Reflexology is a complementary treatment, involving the application of thumb and finger pressure to the feet and hands. Reflexology is based on the idea that there are reflex areas and a system of zones mapped onto both feet. These areas mirror our bodies with the left foot corresponding to the left side of the body and the right foot corresponding to the right side. Professionally trained reflexologists believe that they are able to detect subtle change in specific points on both the feet and hands. By working on these points, reflexologists feel they are able to affect the corresponding organ or systems of the body. Whilst many people simply choose reflexology as a way of relaxing the mind and body and counteracting stress. Reflexology is suitable for people of all ages and a treatment session is expected to last for one hour for adults and 20-30 minutes for children. A course of treatments is normally recommended depending on what the reflexologist feels your body needs. A detailed consultation is part of the first treatment in order that the reflexologist can tailor subsequent treatments to your needs. Reflexology has been in existence for thousands of years, more information on the history of reflexology. You remain fully dressed, being required to remove only your footwear (and socks, if worn). The treatment lasts between 45 minutes and one hour, although the first session is longer because your medical case history is taken before any treatment can begin. The treatment takes place in a peaceful, calm atmosphere – a time for you to relax and unwind. This will be carried out on the therapists couch or La Fuma chair if you prefer. For each person the application and the effect of the therapy is unique. Sensitive, trained hands detect tiny deposits and imbalances in the feet by working on these points, the reflexologist releases blockages and restore the free flow of energy to the whole body. 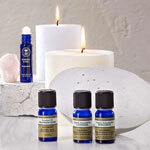 Tensions are eased and circulation and elimination is improved, this gentle therapy encourages the body to heal itself, often counteracting a lifetime of misuse.